This monster mask is easy to make from items you can pull from your workshop or a quick stop at your local home or hardware store. 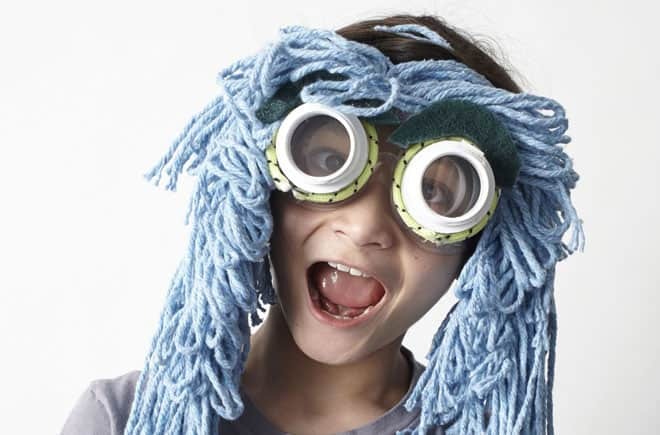 In 30 minutes or less you’ll have a fun mask that your kids will love, whether it’s Halloween or not. 1. Use a hot-melt glue gun to fasten the reducer fittings to the goggles. 2.Cut bungee cord to length, then wrap and glue the cords around each fitting, gluing the ends to prevent fraying. 3. Use scissors to cut the cleaning pad into two arch-shaped “eyebrows.” Fasten them above the fittings with hot-melt glue. 4. 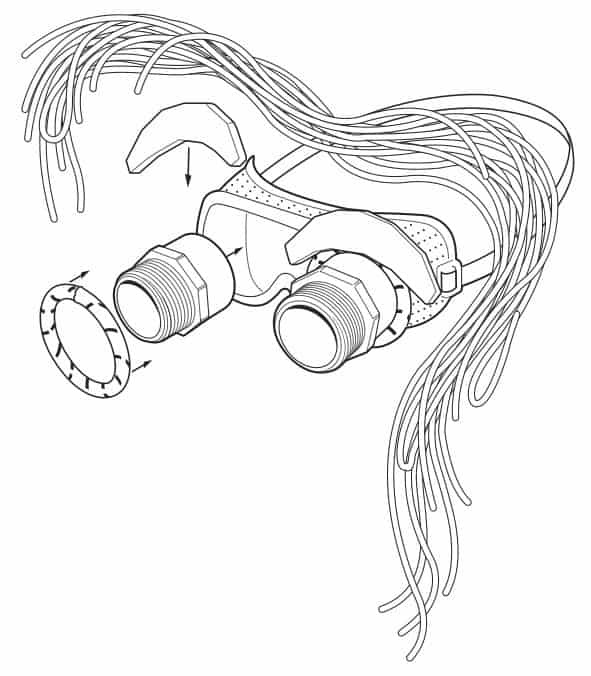 Cut off a section of the string mop and glue its supporting band to the goggles’ top shield. The original plan can be found on Popular Mechanics.